Xero is the mainly active admin I see, and he's good at what he does. Props to him. I was trying out the thief class for the first time, I stole a Rancher from East Beach and was headed to Los Santos Island, I was cruising at 75mph, and I was going up a bridge to enter Las Venturas. 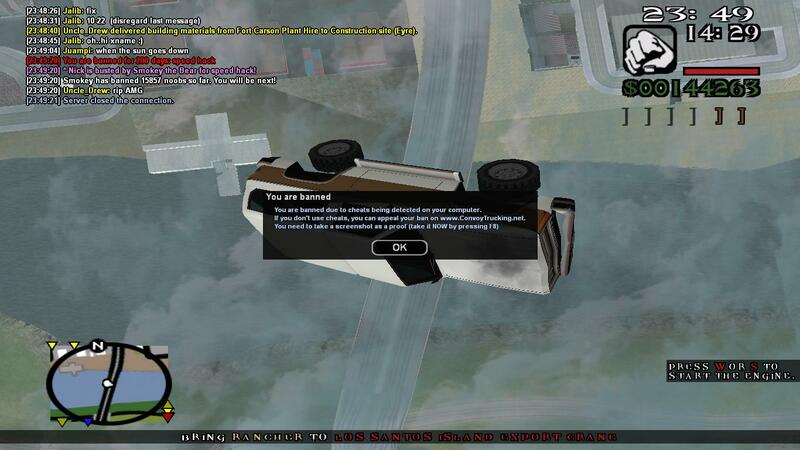 I tried to turn up the bridge, and my vehicle just flew up in the sky and bam, i'm banned. This is obviously a mistake, I've been playing here for almost a week now and I love it, you can ask anyone. I would never do something so stupid to jeopardize my account and the people here.